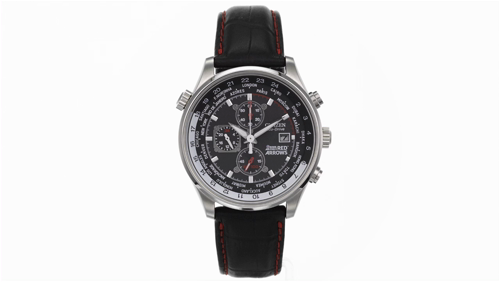 Citizen men's black chronograph featuring black leather strap and round multi function dial. A classic watch style combined with contemporary design features. 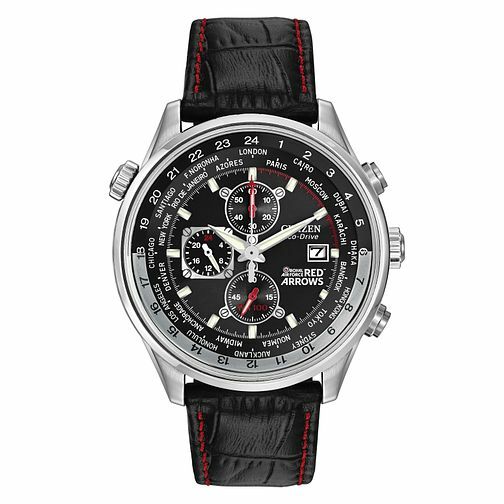 Citizen Red Arrows Black Leather Strap Chronograph Watch is rated 5.0 out of 5 by 9. Rated 5 out of 5 by Anonymous from exactly what it said on the tin. gorgeous watch excellent quality, looks as good as watches 5x it’s price, works to that standard too. Bought as a Christmas gift and recipient hasn’t taken it off since. Tempted to buy another for myself. Super speedy delivery at the busiest time of year. Good straightforward service.